The court ultimately dismissed the plaintiff’s case, finding that the resort did not act with gross negligence and that the plaintiff assumed the risk of injury. The court first noted that the plaintiff signed a release waiver indicating she was on notice that snowboarding was a dangerous sport. The court went on to explain that snowcats are required to groom the snow so that it is suitable for skiers of average ability and that skiers and snowboarders should expect to see these vehicles while on the slopes. The court noted that previous decisions have held that snowcats and snowmaking equipment in general were “inherent risks” associated with skiing and snowboarding and the resort did nothing to add to the inherent risks of snowboarding. 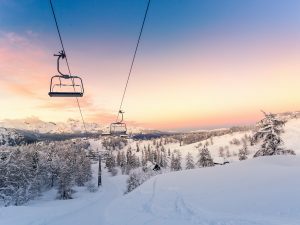 If you or a loved one has recently been injured in a ski or snowboard accident, you may be entitled to monetary compensation for the injuries you have sustained. At the Neumann Law Group, we represent injury victims in a wide range of California personal injury cases, including premises liability claims, California car accidents, and medical malpractice cases. We have decades of experience successfully pursuing claims for compensation on behalf of our clients, and know what it takes to succeed. To learn more, call 800-525-NEUMANN to schedule your free consultation today. California Plaintiffs Sue Breast Implant Manufacturers, California Injury Lawyer Blog, October 24, 2018. Appeals Court in California Discusses Loss of Consortium Claims, California Injury Lawyer Blog, October 14, 2018.